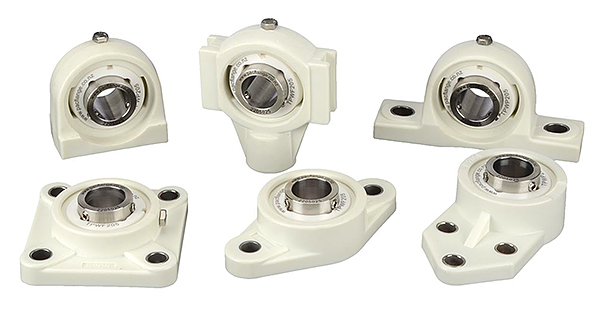 Developed for the food processing and production industry, PacFlange is designed to replace the conventional greased roller bearing thereby eliminating grease completely and providing a zero maintenance solution. PacFlange consists of a food grade approved housing, a marine grade stainless steel sleeve (grub screwed to the shaft), which runs on a ThorPlas-White bush. This material is an engineered food grade thermoplastic that is self-lubricating with low friction and wear properties - specifically designed for FOOD and WATER handling environments.